October saw the official launch of the 1961 Dumbarton Single Grain Scotch Whisky. With only 32 bottles available worldwide, the Dumbarton is The Last Drop's smallest and most exclusive release to date, so we felt it deserved a very special launch. Due to its extremely limited size, the release of The Dumbarton was reserved only for very special customers who have been on The Last Drop journey since it began in 2008. 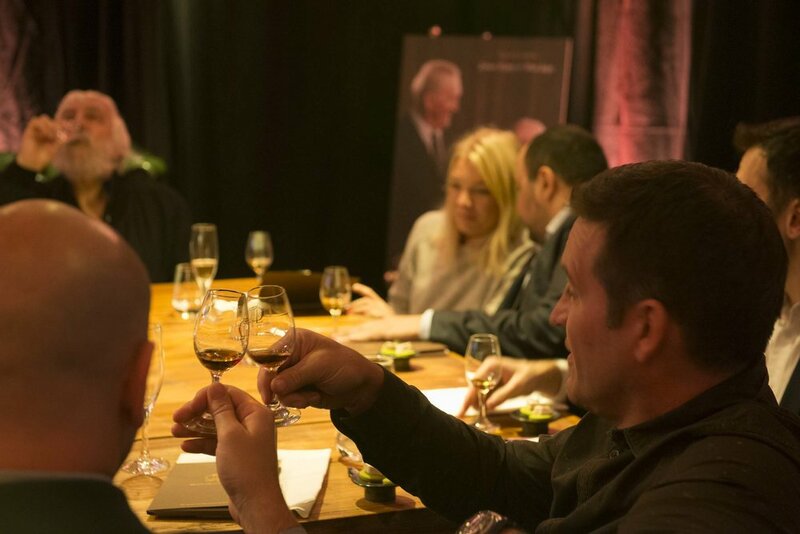 From London to the USA via China, guests were invited to a Last Drop Gastronomic Experience during which they had the opportunity to taste every Whisky and Cognac released since the company began. Each spirit was paired with a dish especially created to complement and highlight its flavours. In London, the event took place at the historic and magnificent Wellington Arch, which was specially decorated for our event. The whole Last Drop team were in attendance to share this extraordinary journey through our collection of releases to date. To see more photos from the event, please visit the Gallery.